Responding to the drought and preventing famine in Somalia is a United Nations system-wide priority. To tackle the needs of the operation, UN personnel and resources were shifted to support immediate response to those communities most affected by the drought. 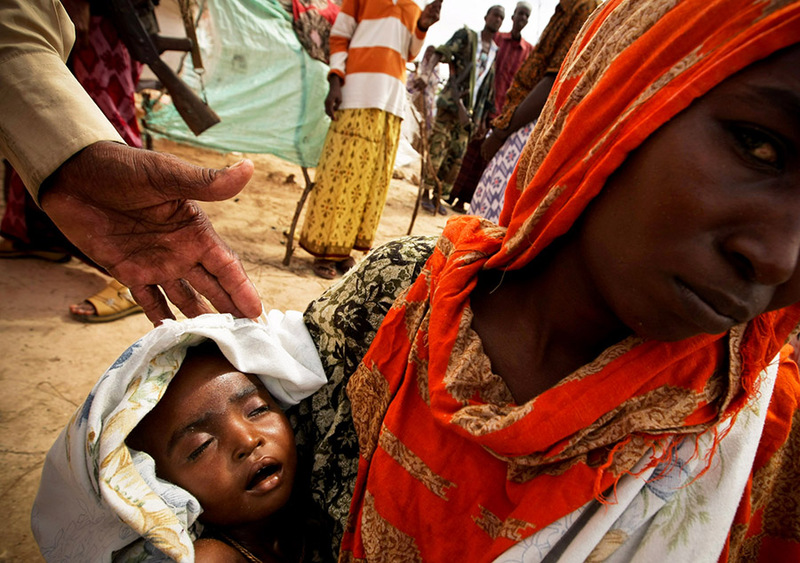 For months, the UN response was scaled up, reaching millions of people in need across Somalia. Communications are a vital element of humanitarian assistance. As system-wide coordination took shape, the UN Office for the Coordination of Humanitarian Affairs (OCHA) in Somalia expanded its public information campaign on drought response and strategized new ways of informing people about its operations – both to make the public aware of the UN’s efforts and to provide information on where, when and how communities could get help themselves if affected by the drought. My name is Aleksandra Risteska (Switzerland). I am an international UN Volunteer serving as Communications and Research Officer in the office of the UN Somalia Deputy Special Representative of the Secretary-General / Resident Coordinator / Humanitarian Coordinator (SRSG/RC/HC). Given the need for increased communications activities surrounding the UN’s famine relief efforts, I was asked to support OCHA’s surge for six weeks. Agreeing to be reassigned, I became responsible for launching the weekly Situation Reports coming from the humanitarian clusters and published by OCHA Somalia. Situation Reports are used during crisis situations to increase information flow about the situation and response by the humanitarian community – it’s a tool used to inform donors, international partners and national counterparts. We restructured the usual format of the Reports to make it more relevant to people who don’t necessarily work in the humanitarian field and have less technical know-how about the drought situation and how the humanitarian community responds to it. We also gathered weekly stories from local NGOs and community initiatives that showcased how Somalis themselves rolled up their sleeves to help each other out, regardless of clan or political affiliation – a significant change from the 2011 famine, where clan dynamics impacted relief efforts. My commitment as a UN Volunteer helped me quickly gain the trust of my new team and take over responsibilities that allowed me to contribute my skills to the drought response. To get closer to the information and response, I was temporarily assigned to serve in the Mogadishu Drought Operations Coordination Centre – an integrated team where technical staff from humanitarian UN agencies and NGOs work together to support the drought response. This allowed me to interact with various parts of the humanitarian community and to relay important information to UN senior leadership – e.g. through an interview I prepared for the Deputy Humanitarian Coordinator, Vincent Lelei, on how the 2017 drought and our response to it differs strongly from the 2011 famine, and what each member of Somali society can do (community leaders, local authorities, government officials, diaspora) to help each other out and save lives. The interview was aired in Somali and all over Somalia through UNSOM’s weekly radio show Path to Peace – this was a unique undertaking as UNSOM agreed to expand the content of the show and turn it into a humanitarian community-wide effort, going beyond its usual mandate. At the end of my surge support, I organised a drought communication workshop with UN agencies and UNSOM to draft a joint communication plan to further increase awareness about the drought response and engage with people on the ground who received our support in order to record their experiences. The workshop produced a workplan and the production of radio segments, media briefings and photo/video stories that have been broadcasted throughout UN channels as well as international partners and local media. These efforts gave international visibility to Somalia’s drought and have sprouted many news articles in internationally renowned media outlets (such as the Guardian, Huffington Post, NY Times) and online campaigns. As a result, donors have responded quickly with additional support, which has so far prevented the worse possible outcomes of the ongoing famine in Somalia. Ms Aleksandra Risteska (Switzerland) is one of 59 UN Volunteers currently serving with UN agencies operating in Somalia.